This Tuesday, America’s Got Talent: Season 12 finally goes live! The Top 33 (along with three unannounced Wild Card acts) will take the Dolby Theatre stage in the hope that their talents are enough to join Terry Fator, the Olate Dogs, Kenichi Ebina, Mat Franco, and Grace VanderWaal in the NBC talent competition’s winner’s circle. Jake’s Take has selected the 14 acts that you should keep your eye on during the Live Shows. One musical group that had me at hello is A cappella group In the Stairwell. The Air Force Academy cadets blew me away with their outstanding cover of One Direction’s “Drag Me Down” during the Judges’ Auditions and wowed me with their take on *NSYNC’s “Bye, Bye, Bye” during Judge Cuts. While veteran judge Howie Mandel (who channeled his inner Piers Morgan) buzzed them during the Judges’ Auditions, he eventually came around during the latter round. I believe that this is In the Stairwell’s chance for this group to become AGT’s version of Pentatonix! 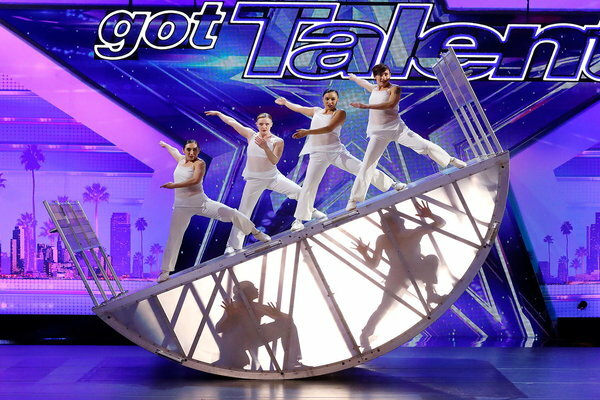 This Los Angeles, California acrobatic troupe, is probably the unique act of the season. In addition to their superb acrobatic and tumbling skills, Diavolo’s interacting set pieces help advance the visuals of their presentation. I honestly believe that the Dolby Theatre stage will let this group take their creativity to a whole another level of excellence. Plus, I predict that they will be in the Live Shows for a while. There are several acts that I truly believe deserved the Golden Buzzer over a bulk of the Judges’ and Guest Judges’ selections. One act is DaNell Daymon & Greater Works! 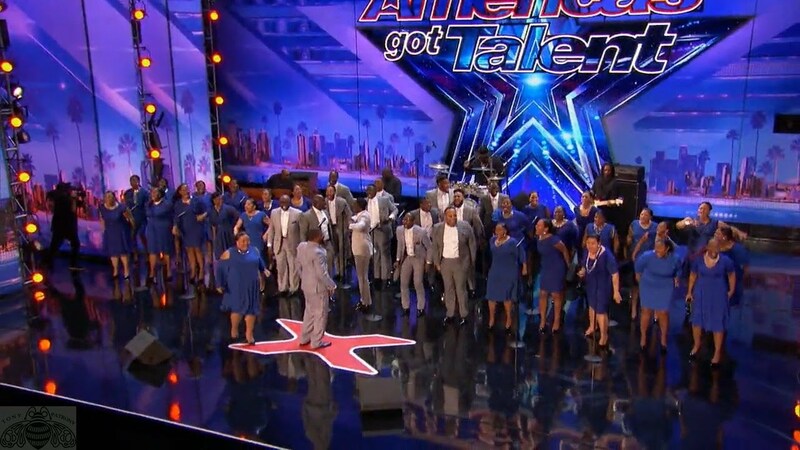 This gospel choir blew the roofs off of the Pasadena Civic Center and the Judges’ Cuts venue. Their voices are not only Las Vegas worthy, but DaNell Daymon and Greater Works might be gospel music’s next breakout stars. I am in shock that we only have two comedians remaining in the competition! 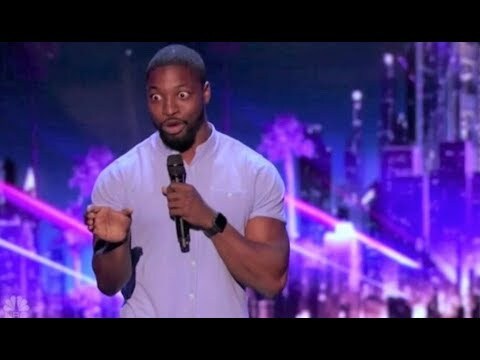 However, 26-year-old Preacher Lawson is one of the best comedic talents that they have found over the past three years. The combination of his hysterical material and his quick delivery might make Preacher an early frontrunner for the Dolby Theatre Live Shows, plus like Simon, I think Preacher’s journey might take him to Las Vegas and around the world. Of all the young performers that have graced the AGT stage this season, dancer Merrick Hanna stands out amongst the crowd. Merrick has self-choreographed some impeccable routines that have melted both the judges and the audiences’ hearts. He has the charisma of popper Cyrus Spencer and Emmy-winning choreographers Derek Hough and friend-to-the blog Travis Wall, plus he is a great music interpreter. I can imagine a lot of families voting for him for the Live Shows. Another act that should have received the Golden Buzzer was South Korean dance crew Just Jerk. This group is probably the best Hip-hop dance crew in the competition! What sets Just Jerk apart from the other Hip-hop dance crew is that every time they perform on the stage like it is the last time they will perform together. For Just Jerk, this might be their last shot for superstardom because they have to serve in the South Korean army. The group’s outstanding choreography and synchronization will set the Dolby Theatre stage on fire. Tyra Banks made the right decision to give this Ukrainian dance group the Golden Buzzer during the Judges’ Auditions. They remind me so much of legendary acts such as Fighting Gravity, Team iLuminate, and Kenichi Ebina, all three of these acts advanced to their respective season’s finals. Just like Just Jerk, Light Balance has excellent choreography, but what sets them apart is the ability to elevate their visual presentation to the next level of excellence. I would not be surprised to see them in the Season 12 finale. Brother and sister daredevils Billy and Emily England have taking roller skating all the way to the Dolby Theatre live shows. Initially, I thought they would be a one-trick-pony and fall during the Judges’ Cuts. But, they surprisingly have brought Season 12 into the Danger Zone with their act. What I am interested in is how Billy and Emily England utilize the Dolby Theatre stage, and I hope that elevate the danger level to their act. My friends, the Clairvoyants, stole the show last year with their perfect mentalism. 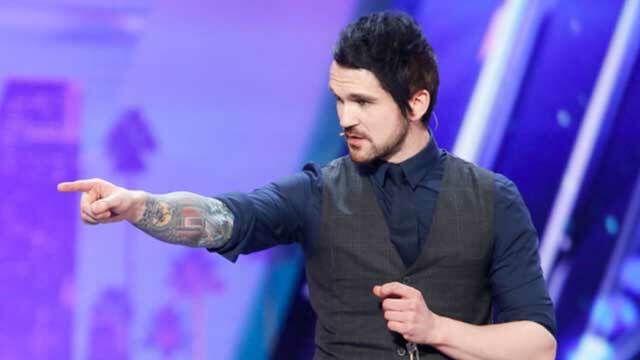 The only magician that can only pull off what their level of magnificence is Colin Cloud. The former criminal profiler has done an impeccable job showcasing his skills during both the Judges’ Auditions and Judge Cuts. I honestly believe that Colin will be one of the last acts standing this season and he could conquer the entertainment industry. Eric Jones has done incredibly well fending off his fellow close-up magicians during the past two rounds. Also, any act who bravely smashes a hammer on a judge’s buzzer deserves respect. Like the England siblings, the biggest challenge that Eric faces is utilizing the Dolby Theatre stage to its fullest potential. However, if he succeeds stepping up to the challenge, then we might be seeing him in the semifinal rounds. 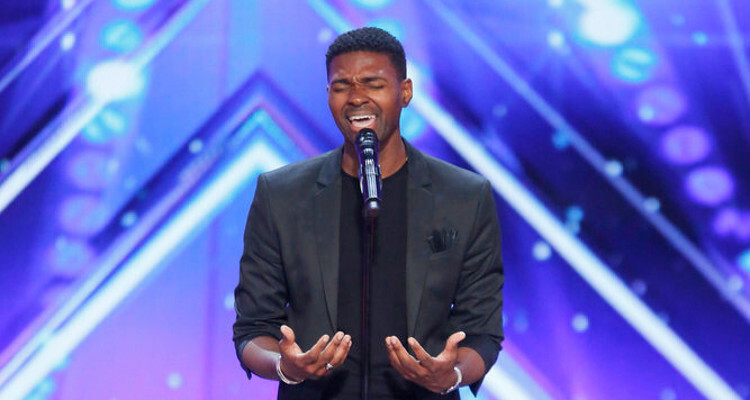 Just like Brian Justin Crum last season, Johnny Manuel is the strongest male singer remaining in the competition. His falsetto not only made him one of the season’s most talked about acts, but his impeccable interpretations of Stevie Wonder and the late Whitney Houston’s classic songs earned him Seal’s Golden Buzzer. If he chooses songs that have not been covered multiple times on AGT, Idol, and The Voice plus correctly executes them, Johnny could have one of the coveted spots in the Season 12 finale. While Puddles may not be as extravagant as legendary finalist Prince Poppycock, the cabaret singer has put on excellent performances of “Chandelier” and “All by Myself” that has wowed the nation. I believe that if he continues to go down the big voice diva playlist (would love to hear some Adam Lambert, Bette, Elton, Streisand, and Xtina) and continue to receive standing ovations from the judges; we may see a smile from this sad clown. DJ Khaled said it best during the Judge Cuts: “She did not need the Golden Buzzer!” Yoli Mayor is leagues above any female solo singer remaining in the competition. 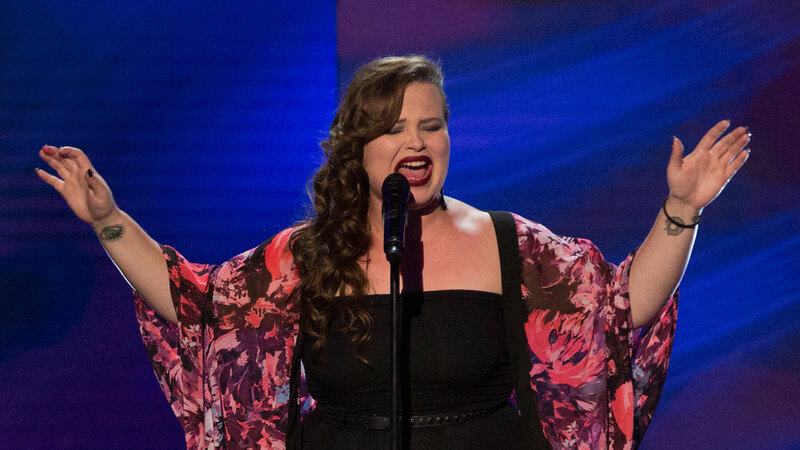 Her outstanding vocals have stolen the show several times this season, and I truly believe she will be a finalist, but also sign a recording contract and become one of the show’s breakout vocalists they have seen in years! Also, Yoli is on her way to join friends to the blog: Barbara Padilla, Alice Tan Ridley, Emily West, and Sharon Irving in AGT’s pantheon of female vocalists. Forte, Sons of Serendip, the CraigLewis Band, and Linkin’ Bridge are excellent musical groups that have commanded my attention for the past four seasons. The Masqueraders are at this level of excellence. 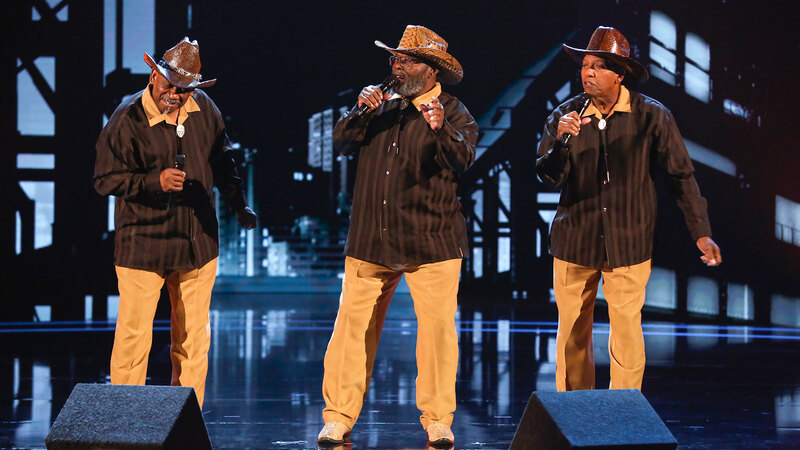 This trio has been performing together for over 50 years, and they have never stopped dreaming. Their harmonies and showmanship have outshined their younger competitors fifty-fold, and I hope that America rallies behind these outstanding performers when they perform on the Dolby Theatre stage.